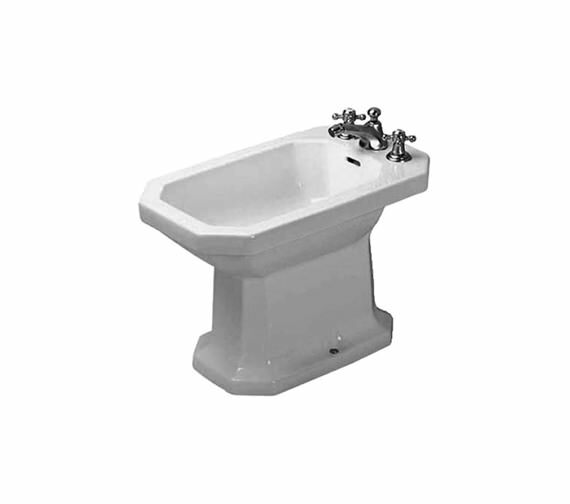 Bring elegance into your bathroom with this classic Floor-standing Bidet from Duravit 1930 Series. 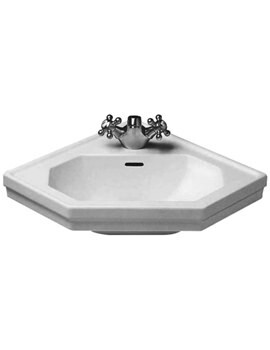 Its classic shape has timeless appeal and will suit any decor. 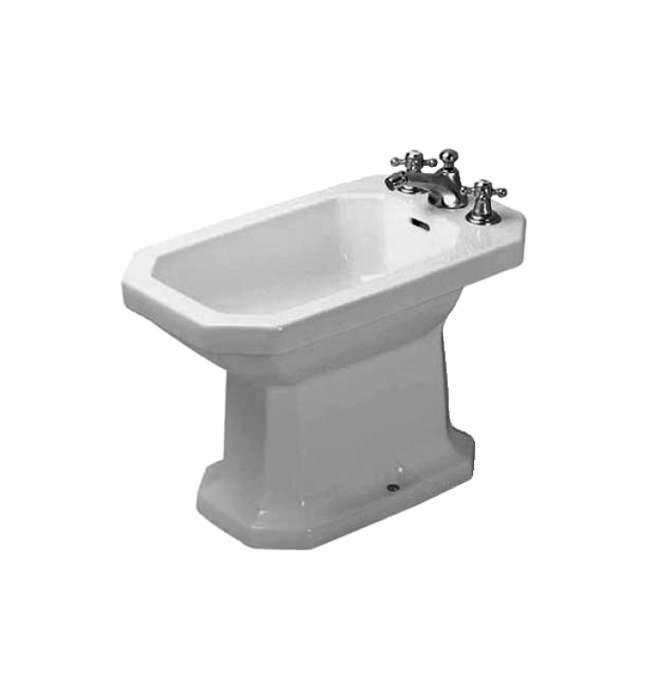 The bidet comes with an overflow tap platform and 1 tap-hole and is also available with 3 tap-holes. 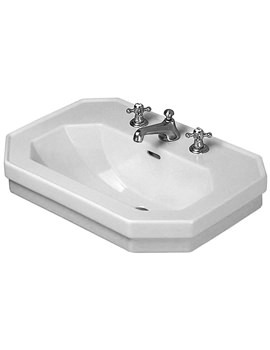 The fine White Alpin finish and fixings in white with chrome caps give it a luxurious look. 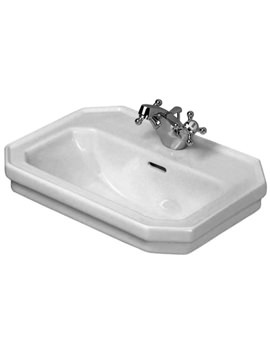 Made from the finest material for long term use it is supported by a 5-year guarantee from Duravit. 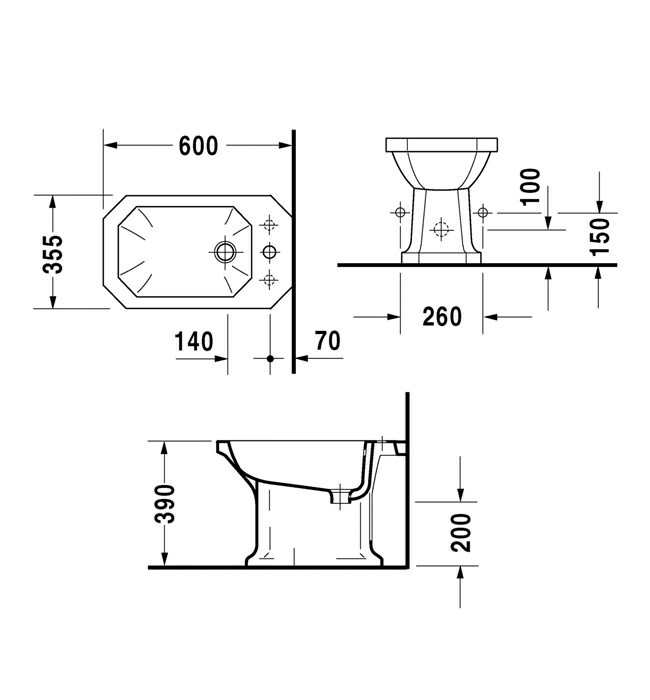 Size of this product is - 355 x 600 x 390mm [Width x Projection x Height]. Select the desired finsih and number of tap hole from option given below. Please note: Image is not avialable. Fixing set. Please Note : Image shown is just for illustration purpose only. is all hardware for a plumber to install included in the purchase or is add'l purchase necessary? can 1 hole model be retrofitted with 3 tap holes? You will require fixing set for this bidet to install. Select OP-31863 from the option below. It is not included in the product. 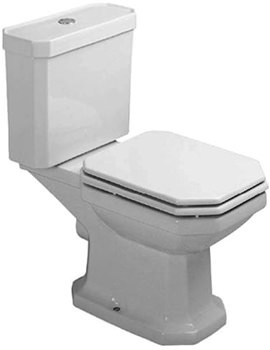 It is not recommended to drill a tap hole, if you require a 3 tap hole bidet, then it is already available.